Not at the high table: Priyanka among others. 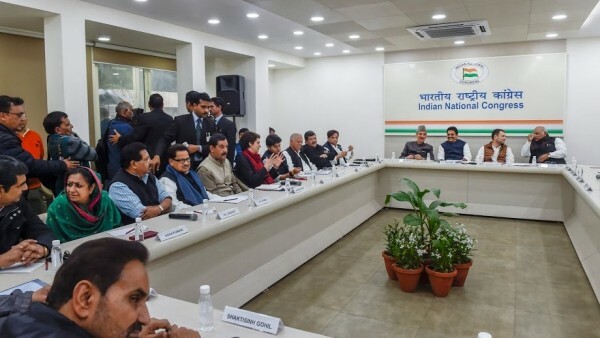 Newly appointed AICC General Secretary in charge of eastern Uttar Pradesh, Priyanka Gandhi, was allotted a seat away from Congress President Rahul Gandhi during an important party meet. Earlier, soon after her appointment as the General Secretary, Priyanka was allotted a room next to that of Rahul Gandhi’s at the AICC headquarters. The room was earlier used by Rahul when he was the party Vice President.